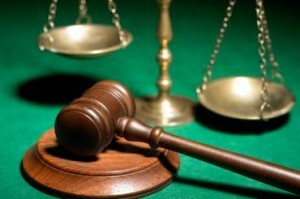 Court Orders are the decisions or judgements of judicial officers, including Judges or Magistrates. They can include an order made after a hearing by a judicial officer or an order made after parties have reached their own agreement and have applied to a court for consent orders. What to do in the event of a breach of Court Orders? Family dispute resolution can help you and the other party to work through your disagreement. This option is useful if parties feel that breaches of the order have occurred due to terms in the order that are unclear or not practical because of a change in circumstance. As both parties are involved in creating a solution the process can be collaborative with the outcome tailored to suit the needs of both parties. Parties can attend family dispute resolution before filing a court application and if an agreement is reached the parties can make a parenting plan or apply to the court for consent orders. This option is not suitable where there has been history of family violence in the domestic relationship. A lawyer can help you understand your legal rights and responsibilities under the order and advise you on the most appropriate step to take. Attaining the services of a lawyer may also assist in reaching an agreement without going to court. You can find legal advice at a legal aid office, community legal centre or a private firm. If you cannot reach an agreement you may consider applying for an enforcement hearing.The respondent will be cross-examined as to the state of their financial affairs and their ability to pay their financial obligations under the order. The process can be complex and you should seek legal advice before proceeding. A refusal or failure to comply may amount to be a contempt of court or an offence. An AVO is an apprehended violence order intended to protect individuals who are fearful of future violence or threats to their safety. These orders are sometimes referred to as restraining orders or protection orders and set out restrictions on the other person’s behaviour. An Apprehended Domestic Violence Order is made where the people are related or have had a domestic relationship. An Apprehended Personal Violence Order is made where the people involved are not related or do not have a domestic relationship. What to do in the event of a breach of an AVO? Penalties vary across the states and territories. Any conviction for a contravention of an AVO will appear on the individual’s criminal record.Depending upon the severity of the breach and whether other charges have been made the individual in breach may be put on bail or have bail refused and be kept in custody. If your circumstances have changed and you no longer require the AVO, you must make an application to vary the AVO in order to prevent accidental breaches. However if there are children under the age of 16 named on the AVO only the police can make an application to vary its terms.